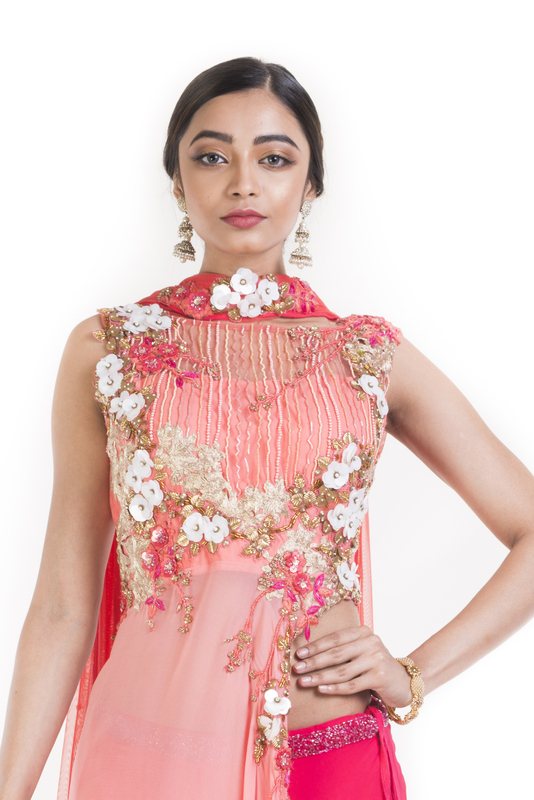 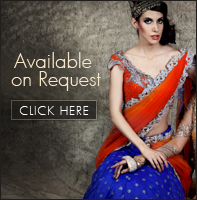 Featuring a peach pink lehenga set.The lehenga is simple with embroidered belt on the waist. 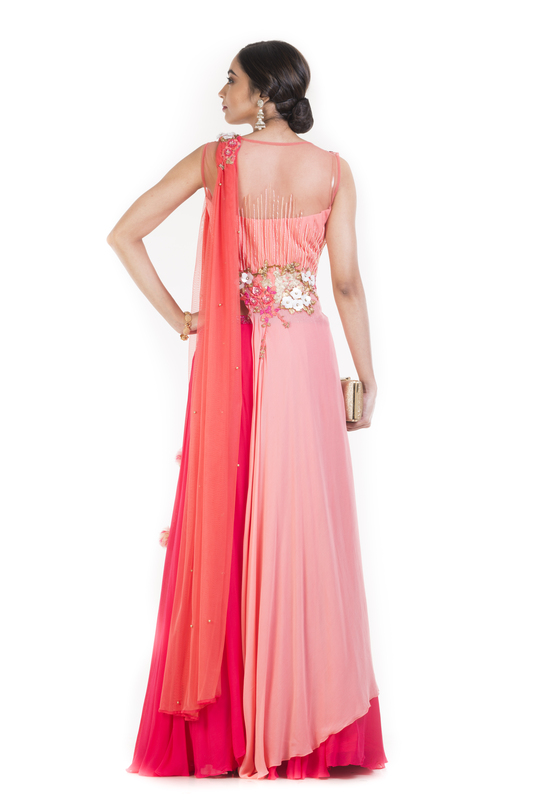 The top has an assymetrical cutout at waist and a layer of georgette cascading till the bottom. 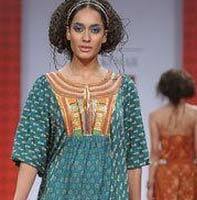 The top has beautiful embroidery of metal sequins, pearls and threads.